Some of the following Christmas tag templates are bright and colorful so you can simply print and cut them out or decorate them with glitter and other adornments. 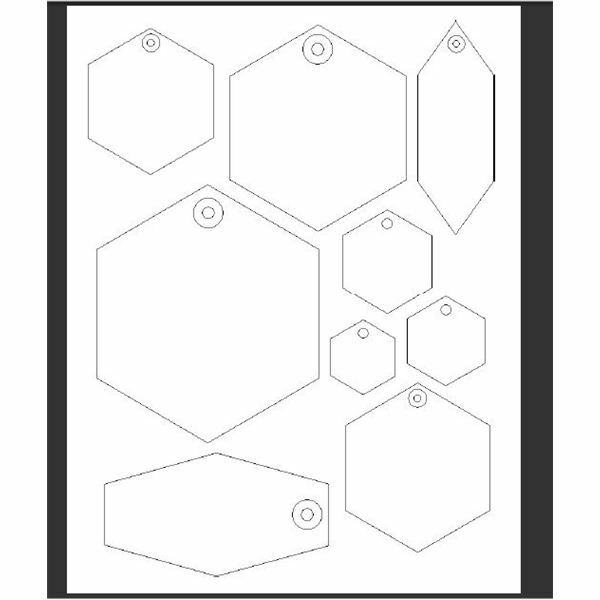 Other templates listed here are basic black and white shapes that you can insert into your desktop publishing program or graphic editing application to adorn to your liking. All of these Christmas tag templates have one thing in common, though: They are free! As its name implies, All Things Christmas offers a variety of Christmas related printables, including three different sheets of gift tag templates. Each page of tags offers a different Victorian theme, including Victorian Angel, Victorian Santa Claus and Victorian Children, shown here. Offering a page loaded with free Christmas printables, Christmas-Projects.com provides several different Christmas tag templates from which to choose. Some of the tags are in PDF format while others are JPGs so that you can insert them into a publication or edit them at will. 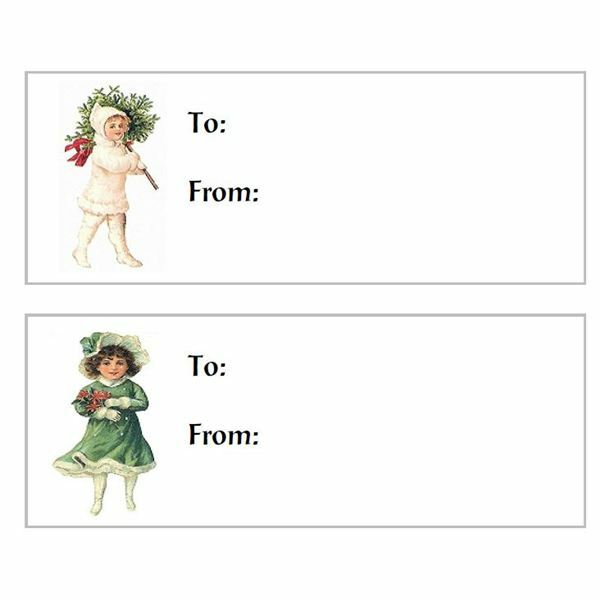 If you are seeking Christmas tag templates for Microsoft Word, Christmastime Clipart offers several. You can download your first template free. If you wish to download more gift tags or other templates, you must subscribe to the site, which costs just under $17 as of winter 2010. With a name like Free Printable Gift Tags, you might think this website must offer Christmas tag templates – and you would be correct! In fact, they offer dozens. The templates come in designs such as Santa Dance, Gingerbread Man and Snowman, shown here, and are downloadable in DOC or PDF format. If you are looking for Christmas gift tags in GIF format, Koala has several. You can either print the entire page of tags, with cute designs like a Christmas mouse or a cookie wreath, or right-click a particular one that you wish to use and save it to your hard drive. Microsoft is always a treasure trove of templates, if you are seeking those that work in MS Publisher, Word or another Office application. Although they are labeled holiday templates, most of these gift tags certainly fit the Christmas theme. They are neither scented nor flavored, but Mint Printables offer several charming Christmas gift tags you can download, edit and print. 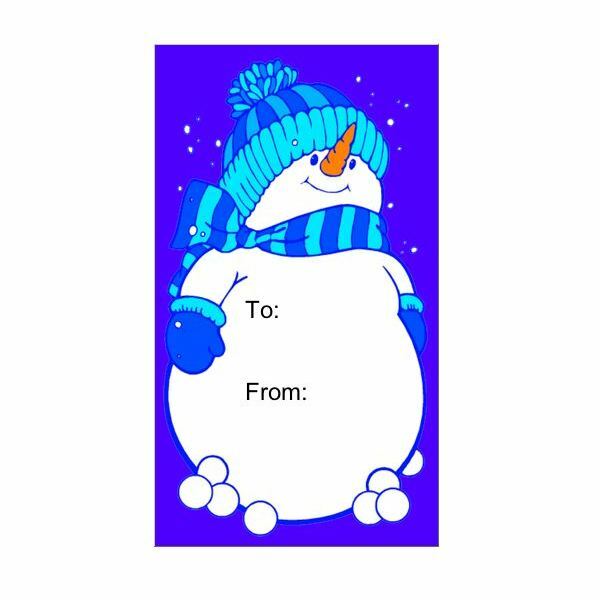 From a friendly snowman to elegant holly to adorable angels, you can print the page as is or right-click and save to use as you wish. They say necessity is the "mother" of invention, which is perhaps the reason that Moms Network created these free Christmas gift tags. 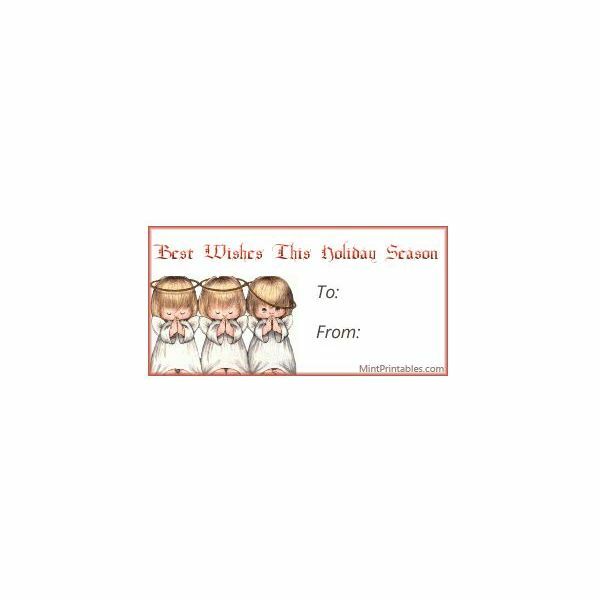 They offer seven pages of Christmas tag templates, including cute kids, cuddly teddy bears, caroling snowmen and more. Print a page or right-click and save as JPG files. A full-service packaging company, Package Tech also offers several free Christmas tag templates. Each template is available in PDF or DOC file format so you can choose the one that best suits your needs. The site so good they named it twice, Scrapbook Scrapbook over a dozen gift tag templates in shapes and sizes that are ideal to use for Christmas gift tags. The templates are plain, black-and-white outlines in PDF file format so that you can edit them in your DTP or graphic editing application. Now that you have found the perfect Christmas tag templates, you can move on to your next project. Perhaps next you will print your own Christmas paper?